East Sooke Park - VictoriaBC.ca: Your Guide to Victoria's Best Hiking! 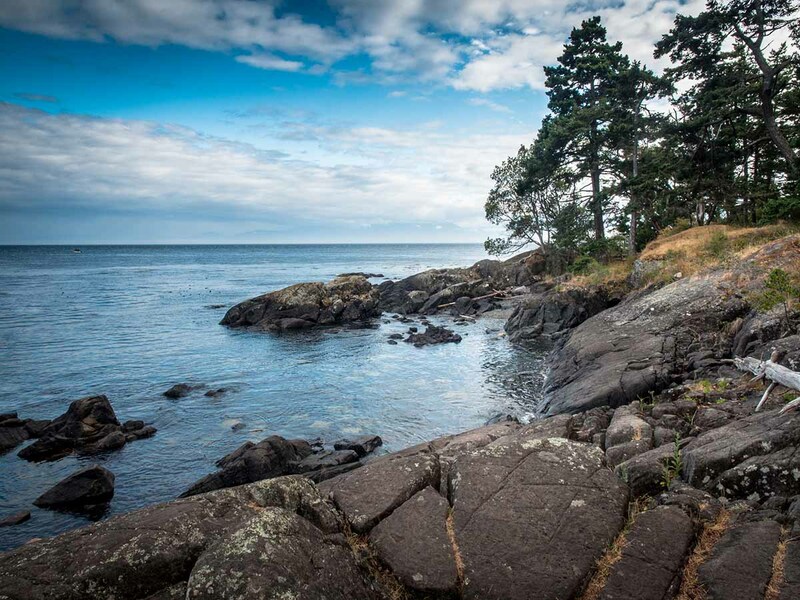 East Sooke Park is a west coast emerald paradise well within reach of downtown Victoria, B.C. The stunning park, just an hour outside of the city, offers something for everyone, with 50km of trails that range from easy to challenging. Sweeping its way through towering rainforest, field and marsh, the park offers incredible views of the Olympic Mountains and the Strait of Juan de Fuca, as well as some of the best tide pools to explore in the area. With rugged coastal scenery beckoning for you to explore, you will discover private, pocket beaches, rocky bays and, for those inclined to life under the sea, fantastic scuba diving, all in one beautiful park. Families, friends and lovers seeking the perfect, picnic day trip should come discover Alyard Farm. A quick, yet beautiful, five-minute walk through wide-open fields, paired with a painless downhill pitch to a small beach lets you explore the best of the area’s intertidal wildlife. You can embark on short trails to hills giving you a glimpse of the Olympic Mountain Range, or you can head out on the long and epic Coast Trail. The Alyard Farm departure point offers an accessible toilet, picnic shelter and area, too, so it’s perfect for enjoying some outdoor time surrounded by west coast beauty. From Alyard Farm are a series of loops, or longer trails that take you straight out to the rocky shoreline and on to longer endeavors such as Beechey Head, or the Coast Trail. Another destination point in East Sooke Park is Alldridge Point, which was designated a Provincial Heritage Site back in 1927. Here, the history of the Coast Salish people is present in petroglyphs etched into the rugged coastal rocks. The Coast Trail is a 6-hour journey, with windy, difficult terrain that rewards with impressive views, timeless trees and west coast scenery. 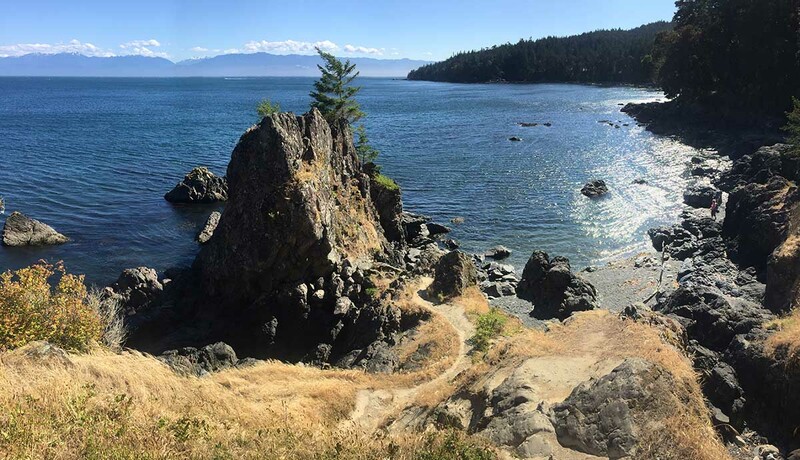 It passes alongside and through all the key areas of East Sooke Park, including Alldridge point, and Creyke Point – a stunning headland filled with near mystical rocky outcrops. If you begin the trail at the Pike Road entrance, it comes to its end at the relaxing Aylard Farm, where a heritage apple orchard sits as a reminder of its last settlement. Thanks to its lengthy endeavor, you’ll need to park a car at each end to do it one way. There are numerous other trails to explore for any desired length of adventure like Babington Hill, Cabin Point, Iron Pike Bay, Coppermine Trail and Mt. Maguire. Most sections of the trail are well signed, although spotting them can be a bit tricky when you head into the tougher regions. A great feature of the trail network is that there are plenty of loops that make their way back to where you began. If you’re running out of daylight, lose your way, or have been to the park numerous times, you’ll be able to find a new, scenic circle to get you back to your vehicle. Like with any trail, hikers should be prepared before heading out into the wilderness! Bring bear bells and bear spray, print out a map and know your route, don’t hike alone and be sure to tell someone where you’re headed and when you plan to return! While East Sooke Park is beautifully maintained, there are some rocky areas and challenging terrain that can result in injury. You’ll also be sharing the territory with plenty of wild animals that lived there long before the trails did, so be respectful and know what to do when in wild territory. Dogs are allowed in East Sooke Park as long as they are controlled, and must be on leash from June 1st to September 15th when passing through beach and picnic areas. They cannot remain in those areas at that time. 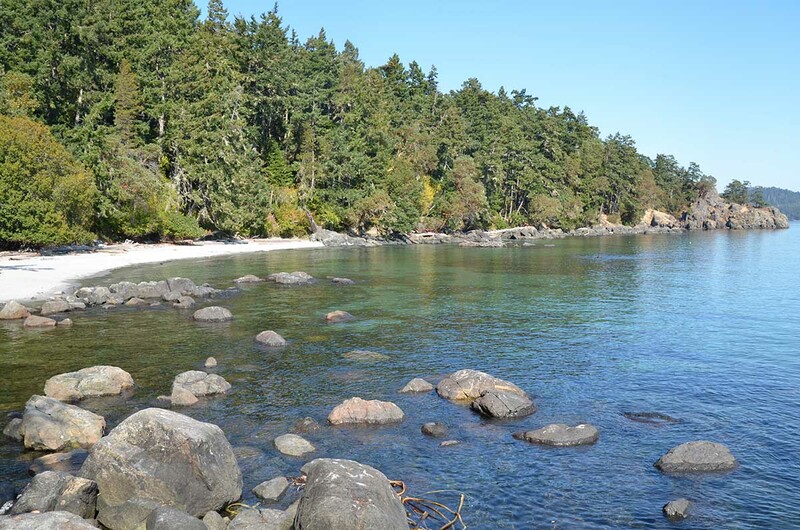 Have fun and enjoy the incredible 3500km+ of west coast paradise that East Sooke Park has to offer!